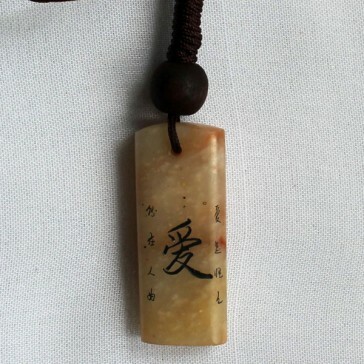 The pendant features the Chinese symbol for "love". Also carved on the pendant are 4 tiny Chinese symbols that say "chances are created" and 4 tiny Chinese symbols that read "love is eternal". 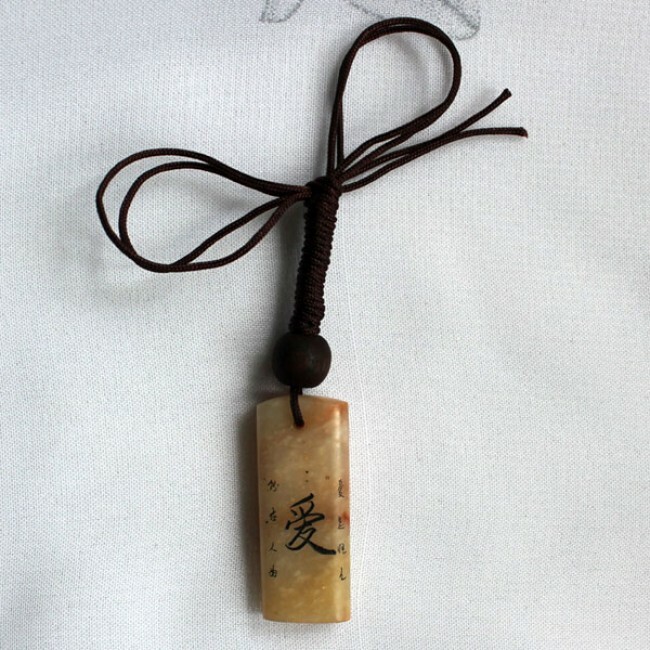 Chinese style string included. Pendant size: 1.1" (2.8cm) in length. Gift box included.